Well I finished piecing the Santorini Quilt yesterday. I loved this pattern which was from the Moda Bakeshop (you can click on the button on the side of the blog). The pattern was called Blissful Confection by Rebecca Silbaugh. It was made using one Layer Cake, a half metre for the first border and a metre for the second border. It was really easy and came together really quickly. The Santorini range is designed by Lila Tueller and is by Moda. The second thing I finished just today is hand sewing the binding on my little Soiree Quilt which I showed being basted in a previous blog entry. I just did simple meandering quilting in all the white sashing and borders of this quilt and used a couple of different Jelly Roll strips for the binding. 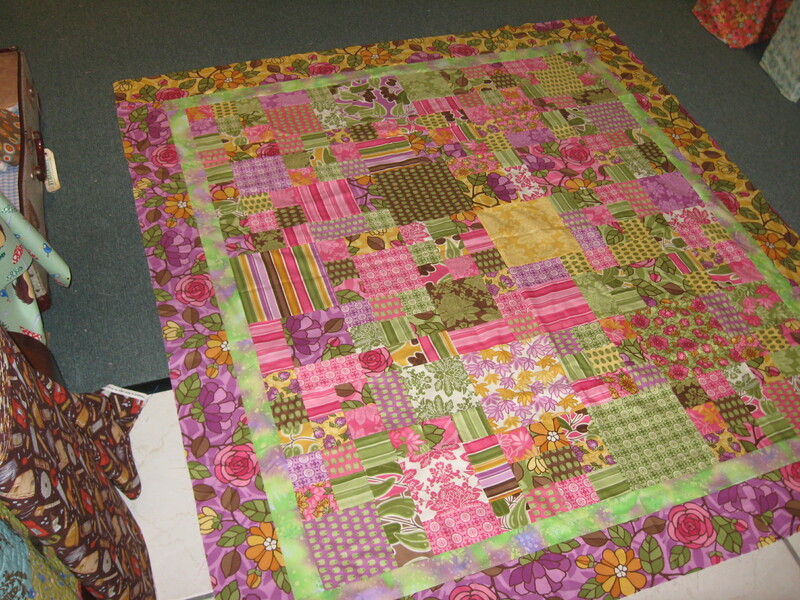 I have used the Moda Jelly Rolls as binding strips for my last couple of quilts. These are amazing. They are already cut for you to the right width (I always use a 2 and a half inch binding), all you need to do is iron in half and sew it on. 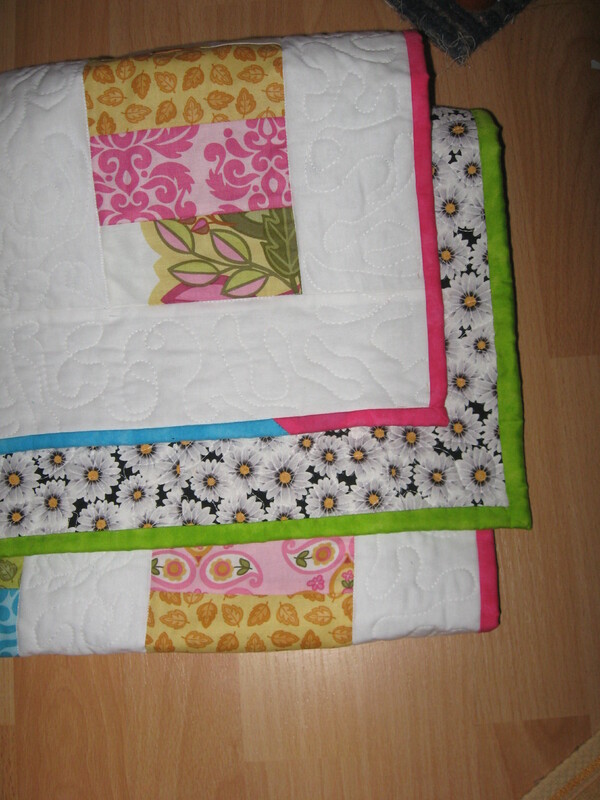 These are especially great using the Moda pastels, brights and basics Jelly Rolls. Before I go, in my last post I talked about the very talented machine quilter and quilt designer, Tracey from Peppermint Patcher, you need to head over to her blog and see the lastest development. Tracey’s quilt is on the cover of the latest edition of the Australian Quilters Companion. It is made using the Verna range by Kate Spain. 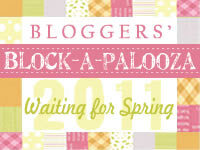 Just click on the link from my last post or on my blogroll and check out the pictures of this cover star quilt. Congratulations Tracey. Well until next time. You’re highly productive right now! I love the quilt top. It looks great.